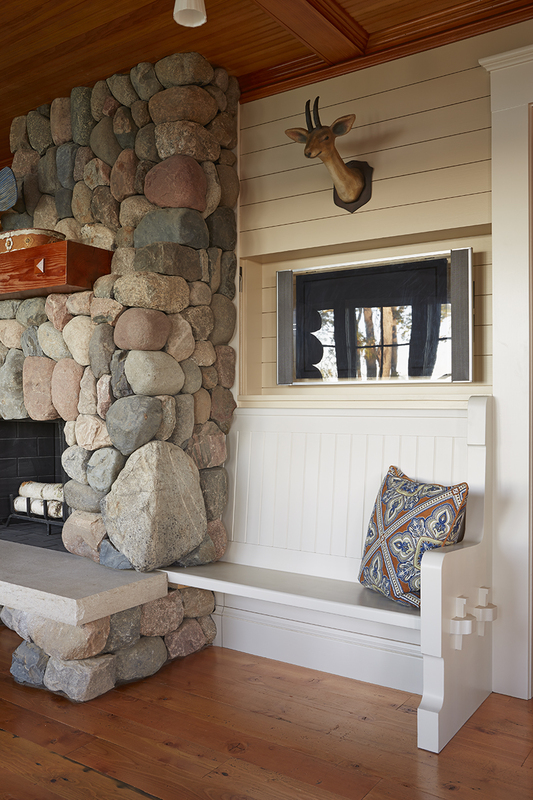 We don’t have a lot of pictures of this summer lake cottage to show you, but David Heide Design Studio has designed a handful of very special features into this house that we think are worth sharing. First is the overall look and feel. 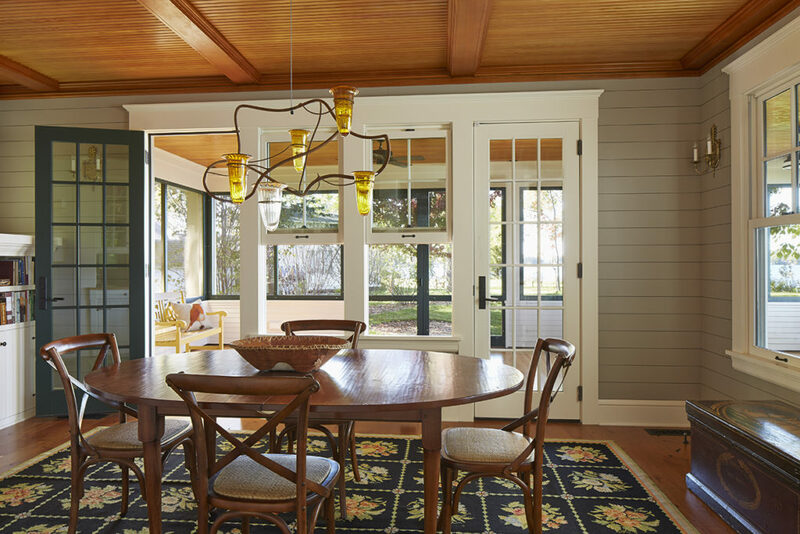 As the Architects write on their website, “…this new house has the look and feel of a 1910 cottage, fitting in unobtrusively with its neighbors on Crane Island. We employed the scale, proportion, details, and materials of buildings of that early era as precedent in our design…”. 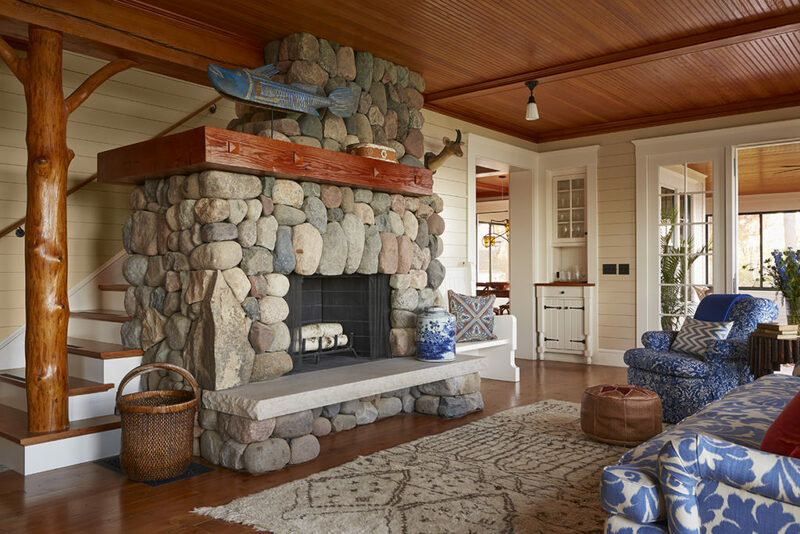 The great details here – the river-rock fireplace, shiplap walls , and wrap-around stair are classics of “lake house” style. 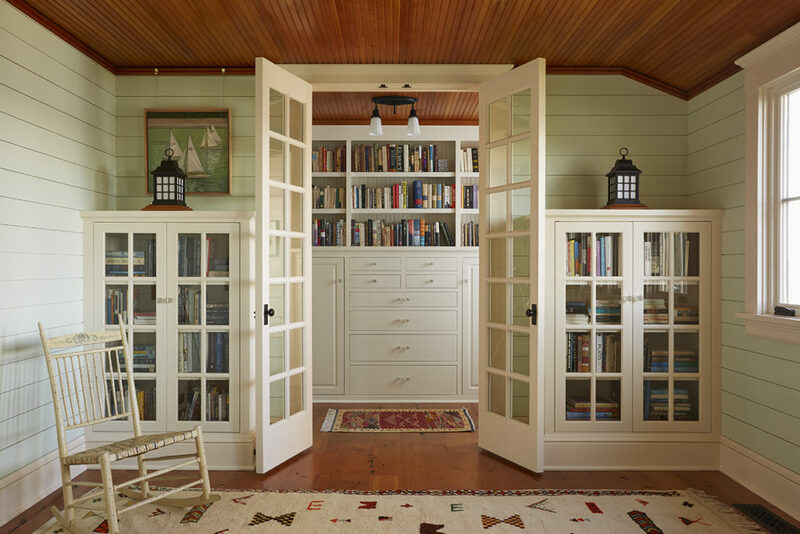 The stained beadboard ceiling and polished log corner post stir images of boating. There are a couple of notable details in this photo – the wedged mortise and tenon joint holding up one end of the bench and the stone hearth holding up the other end is the obvious one. Less obvious is the hidden door that drops down to hide the TV! Great details highlight the kitchen, too. Where some would use tile behind the cooktop, here the owners let the granite countertops and backsplash flow up the wall, creating a nice focal point. Under the window sills, a continuous power strip provides power wherever it’s needed, without bulky outlet plates interrupting the design. 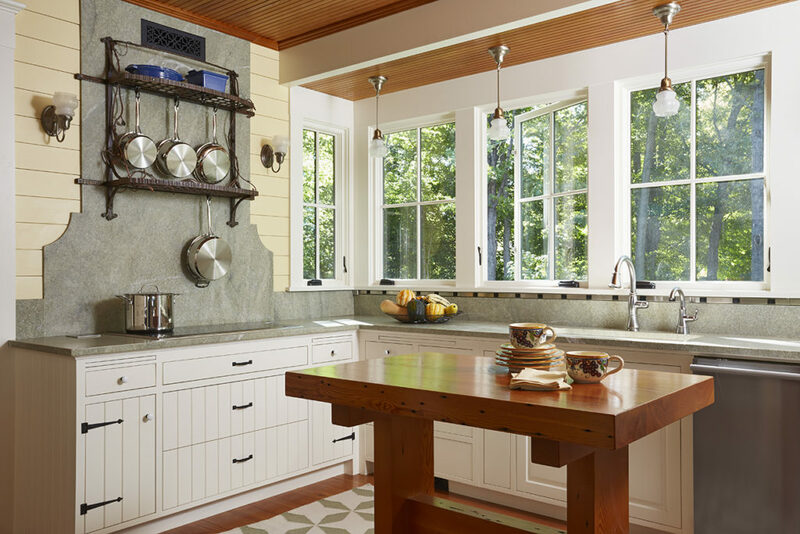 The kitchen flows into the casual dining space, where doors and windows open to the screened porch. 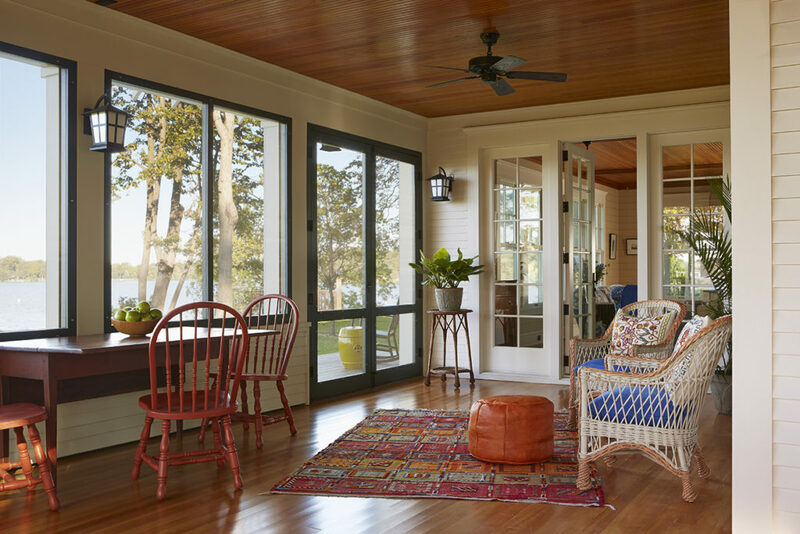 Often, porch floors are painted wood, but the stained floor in this big screened porch extends the wonderful character of the home to the outdoors. With the same natural finish on the ceiling, this screened porch has a very relaxing feel.